How to update Kodi on Firestick (Fire TV Stick), Fire TV, and Fire TV Cube. 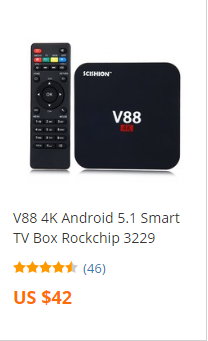 This technique will also work on all Fire TV televisions. This process will work for Kodi 18.0 Leia and all future stable releases that are distributed. The TROYPOINT Shortcode in the video will always point to the stable release of Kodi. So, when Kodi 18.1, 18.2, 18.3, etc. are distributed, you can use the same address to update Kodi through Downloader app. Amazon doesn’t include Kodi in their App store so we must update through a free application called Downloader. Ant idea why skin helper service shows error? Hello @elyse o Durex is no longer available. I suggest using One Nation Build instead with Kodi 18. I go through this setup in my free Supercharge Guide – https://troypoint.com/sg If you are already a TROYPOINT Subscriber, just refer to your last Newsletter as I always place those links at the bottom of each one that I send out. Troy, I enjoy your tutorials very much. You explain how to install and navigate Kodi in great detail. I did install the new supercharge file and I must say, I’m not a big fan of Nebula. It seems to be very sluggish. If you hit the back button fast, you can freeze your FireTV and then have to reboot. How simple would it be to change to a different build? Would I need to reinstall the supercharge pack? Also, don’t hit the clean all button under portal or you get stuck in a continuous loop of “Would you like to clear cache, packages and thumbnails?” You’ll have to reboot again. Hello @Heidi Hafner what device are you using? If this is a 1st Generation Fire TV Stick, yes you will have all of these problems as unfortunately that is no longer powerful enough to run these builds. If you aren’t running an older model, I would suggest uninstalling all apps that you no longer use as your storage may be getting full. Yes, you can easily reset Kodi to default settings by going into Fire TV Settings / Applications / Manage Installed Applications / Kodi and Clear Data. Then, you can install a different build. If you would like to try another build from One Nation, I show how to do that at the end of the Supercharge Video. You shouldn’t have these problems if you are using the new one. I have Nebula loaded on my new Fire TV Stick 4K and it works great with no lag. Try restarting your Fire TV. Unplug from power for a few minutes and then plug back in. Does updating from Krypton to Leia automatically carry over your already installed 3rd party add ons? The reason i ask is because the Kodi before Krypton 17.0 wouldn’t do this and everything had to be reinstalled. Is this an update to the version that came out late last year? Hi @Rodney Williams no this is the update that just came out this past week. If I do this update will it delete all my add ons? Installed leia on a firest i ck, how do I get ks solution IPTv addon installed? Will I be able to keep what I have on 17.6 to 18? So i installed the new portal but im not getting my realdebrid links. Im only getting trailer links. Any suggestions?